A very common error “The uploaded file exceeds the upload_max_filesize directive in php.ini” is found in WordPress. Many hosts provider keeps this limit very low 2 or 5 MB by default. 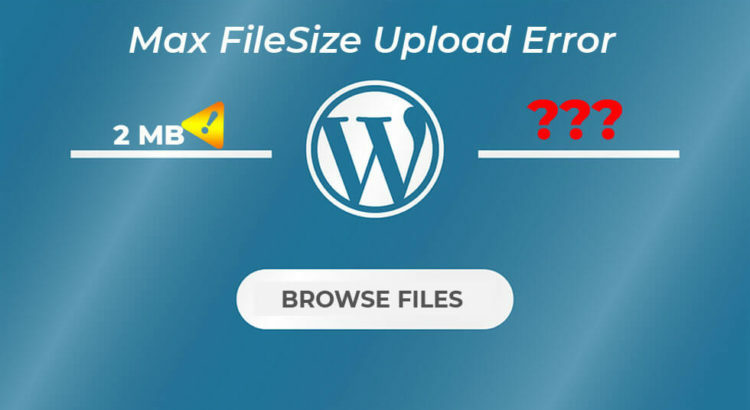 So in this article, we will go into the root of the WordPress maximum upload file size problem and provide you with quick ways to resolve this issue. Log in to your cpanel and accessing their online file manager. Connect to your server via SFTP or FTP client by FileZilla. Upload your media, themes, or plugin files by WordPress Dashboard. The above 1 and 2 examples do not have the problem of file uploads but you get this error in the 3 number example. If you are running on a host that uses cPanel, then you can easily solve this issue. First you need to log in your host cPanel and go to Under Software click on “Select PHP Version”. New page will appear then click on “Switch to PHP Options.” link which is on the top right side. You can then click on “upload_max_filesize” property and change its value and then click Apply button. After apply the changes then click on “Save.” button. Now you can upload the file, You will increase the WordPress maximum upload file size and not found maximum file upload error again. Above the example you can see, increasing the WordPress maximum upload file size is not complicated, it’s only a matter of knowing where to look and solve the issue. I think, you understand on how to change and adjust the settings for your WordPress site for increase the WordPress maximum upload file size from Cpanel. Avoid the using of Nulled WordPress Themes & Plugins.